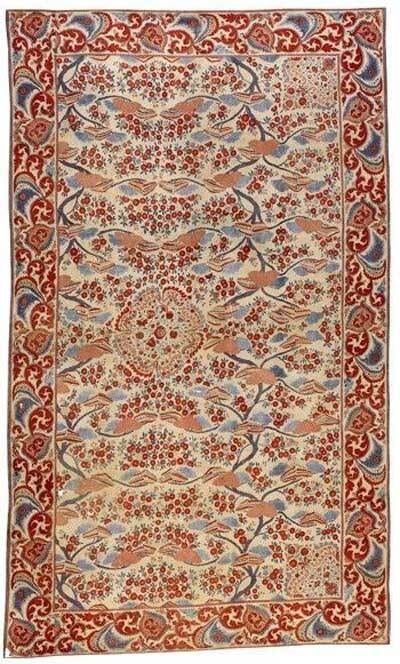 The most frequents motifs were fruits, flowers, trees, birds . Inspiration come from the observation of the exhuberant vegetation and fauna in India, Java and Iran. For instance grenada is a very common motif in chintz: grenada is a symbolic fruit meaning properity and wealth. 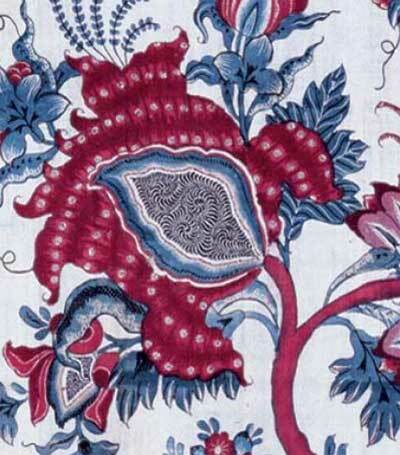 Chintz from Persia use often different motivs: Tigers, lions and eagles ( symbol of strengh and power), camels, peacock ( symbol of wealth) , doves ( symbolof peace), rats and goats. Indian textile design was influenced by other civilisations: Greece, Persia, China ( afterthe mongol's invasion in the XIII century) . Order in chaos was the fundamental principle in design. Repetition, alternation, expansion, synthesis were the rules. Soon after chintz was introduced to Europe, new patterns including heraldic designs, English flowers and birds, swags were created. Guy, John. 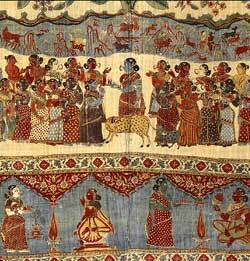 Woven Cargoes: Indian Textiles in the East. New York: Thames & Hudson, 1998. Osumi, Tazemo. 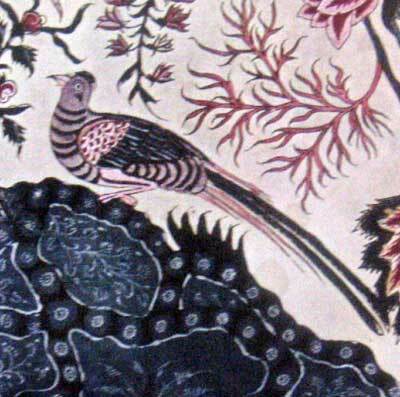 PRINTED COTTONS OF ASIA: The Romance of Trade Textiles. Indian chintz, Japanese style for the Dutch market.